We understand that the legal process is complex and can be difficult for our clients to sort through. We think of ourselves as ” attorneys and counselors ” because, while we are committed to providing efficient transactional services and aggressive advocacy, we also focus on counseling our clients on any unforeseen developments that may arise during the legal process. We will take the time to ensure that you understand all of the options you have to meet your goals, what the process will entail, how much it is likely to cost, and your rights and obligations. We are committed to being available to answer any questions and to keeping you informed of any developments. You can count on us to provide reliable and accurate information about what to expect at every stage as we handle your important legal business. Contact Capraro Law for an initial consultation with a lawyer. Capraro Law, located in Oak Park, Illinois is a service-oriented firm meeting client needs with over 30 years' combined experience. We focus on communication, collaboration, and strategic advocacy to ensure the best possible results for our clients. Call us today at (708) 383-6551. I came to Nichole on the recommendation from another professional. I can not thank Nichole enough for everything she did for me and my family throughout my divorce and custody hearings. She is truly a Lawyer that works for you. She really cares about you and NOT the money. She is responsive, caring and loyal. I would recommend her in a heartbeat. Please, don't look anywhere else. Remember, you get what you pay for and she was worth every penny. I came to Nichole with a child custody case because my ex husband's gf called to state he was a heavy drug user and did so with my child. She was calm, responsive and really helped me through this process. She is a fair charger...even though she was expensive, she is worth it. She tries to explain and guide you through the courts. She also tried to get your case over with as soon as she could. I really liked working with Nichole. She is a beautiful angel and she helped save me from my wife and helped protect my children as well. She was always there for me and walked me through the entire divorce process. I don't know what would've happened to my life if I had never retained this woman. 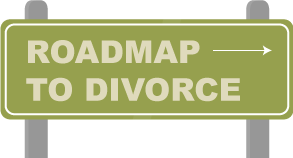 If you are considering divorce or any other family law issue then you NEED to hire Nichole as soon as possible. I cannot thank Nichole enough for what she did for me and my child. My prior attorney told me to agree to temporary custody to my ex which is something one should NEVER do. My ex kept my child from me so I hired Nichole to help. Nichole really fought to help me save my child from my ex. Nichole listened to me and was really someone who I completely trust with my life. Even though my ex tried to torture Nichole and threaten her, like he did me, she fought back and never gave up. I have now had my daughter back home with me for the last 1 1/2. Nichole really saved her life. My ex is now homeless, has not even seen his daughter in the last 1 1/2 and is prostituting his newest wife. To schedule an initial consultation or case evaluation, please contact our firm.